A week ago my friend Rosanne died from STUPID CANCER! Actually, she was the one that got me to start saying that phrase in the first place. She was diagnosed about 5 years ago with terminal cancer. Yup 5 years ago! She fought long and hard. Her goal was “quality vs quantity” and she had a very good quality of life. She attributed much of her quality to her faith, her positive attitude and her red lipstick. She was an amazing woman. Despite her illness, she went to work almost every day when she wasn’t in treatment, and she even went to the gym whenever she could!! She was the best looking “sick” person I ever knew! She was always well dressed with her heels and pearls and of course the red lipstick. 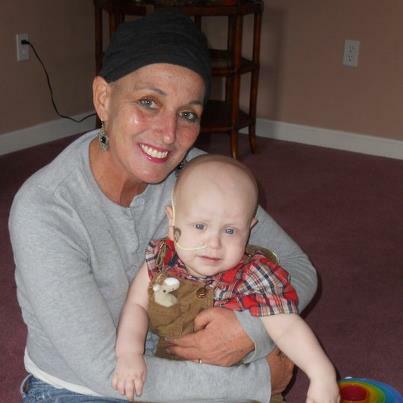 She and Alexander fought their cancer together. I am sure that he greeted her with a big smile and hug when she arrived in Heaven. It was hard to be at the funeral – not just because of my loss, but to watch her family too. She was only 55. She has a husband who now has to live without the love of his life. She has two children in their early 20’s – just starting their adult lives, and now have to go own without their mom. Her daughter won’t have her mom to help her pick out her wedding dress some day, and her son won’t have that special mother/son dance at his wedding. She also has a younger son – just 13 years old. Such a tough time in life without the added burden of losing you mom. Then, I looked at her own mom and dad. I feel for them, and the pain they are going through in having to bury their child. cancer is such an evil disease -it steals lives – and effects the lives of those left behind in profound ways. I have decided to sell Tupperware. I have done this in the past, so it is not new for me. I LOVE Tupperware!! I have so much of it – I could really use a closet for all my Tupperware! I am taking different approach this time however. I am not going to be begging people to host parties. I will if someone asks – but I plan on doing most of my sales through on-line sales. A big reason I wanted to start selling Tupperware, is to help others. After living in the “cancer world” for a year, I know how many families struggled to keep up with their bills. My plan is to offer them to “host” a party, and then I will give at least 20% of the sales to help them. We also have a fundraising line of product. A group hosting a fundraiser this way will earn 40% of the sales! If you know of any family or group that would like to talk about this, please have them talk to me. Please check out my web site! Tupperware has changed a lot over the years, and it is more than just storage now!